Contemporary rug and fabric company Christopher Farr has collaborated with The Josef and Anni Albers Foundation and Gary Hume to create new, limited-edition collections around each of the artists' signature series. Over 20 hand-crafted rugs, tapestries and fabric installations will be on show for the first time offering visitors the chance to see textile art based on the original designs of three complementary colourists from the Bauhaus to Britart eras alongside each other. Painter and colour theorist Josef Albers will be represented through a group of tapestries based on his Homage to the Square series, hundreds of paintings produced over 26 years that put his colour theory into practice. 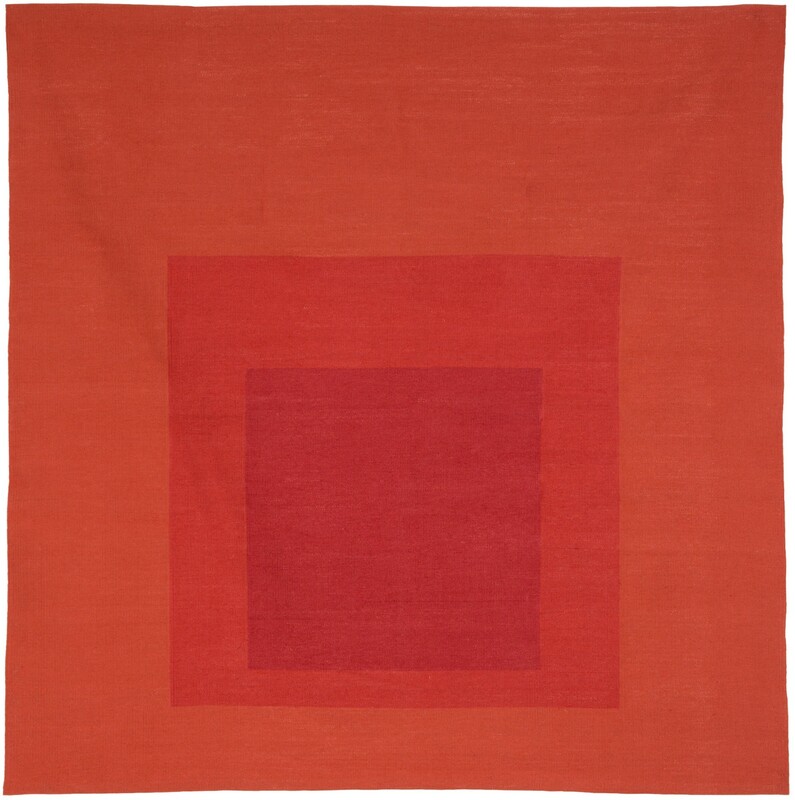 A group of four tapestries will be displayed which use Homage to the Square as source material. Visitors will also be able to experiment with Albers' theories and teachings by exploring the Interaction of Colour iPad App, recently launched by Yale University Press, with innovative interactive features that allow users to test their own colour perceptions.